Speedball’s heritage in printmaking began over 75 years ago by pioneering the manufacturing of water-based inks. Since that time, Speedball has become a true one-stop-shop for all things block printing, offering the broadest range of inks, surfaces, tools & accessories and block printing kits available on the market today. At Speedball, we take great pride in being your one-stop-shop for block printing. Speedball's line of brayers pairs superior quality and value price, ensuring you won't have to break the bank to achieve the results your art demands. 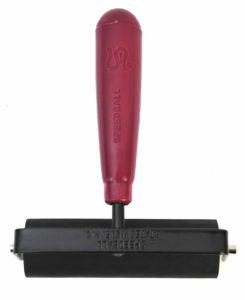 Select from the drop down options below to learn more about each of our brayer product lines. 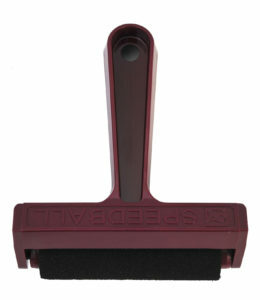 Made from soft, natural latex gum rubber with a precision-ground finish, Speedball Soft Rubber Brayers are ideal for use with linoleum, soft block, or woodcut. The heavy-duty steel frame provides enhanced durability, and the flexibility of the 40/42 durometer ensures for even ink distribution. 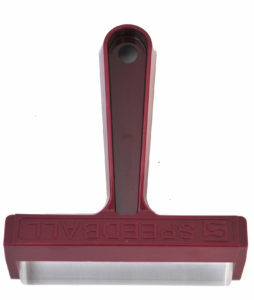 Available in seven sizes, ranging from 1.5” to 6” these brayers work well with water-soluble or oil-based printing inks. Featuring a synthetic, 80 durometer rubber, the Speedball Hard Rubber Brayer is best for use with any gluing application or graphic project. 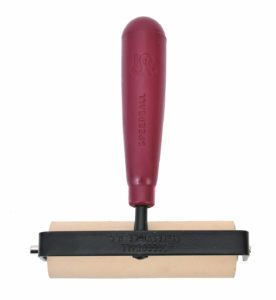 Available in a 4” size, this brayer boasts a steel frame and a comfort-grip plastic handle. Providing the utmost in flexibility, rollers can be changed quickly and easily in order to suit your project’s needs. Use Speedball’s Foam Roller for adding suede, stippled, or splattered texture effects to a design. In a sticky (gluing) situation? 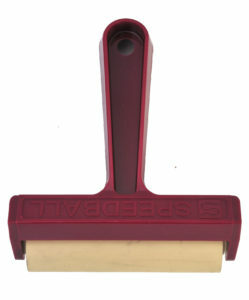 Speedball’s Acrylic Brayer is the perfect solution for applications using rubber cement or wax. Creating a block print? Then grab our Speedball Hard Rubber Roller for light carving applications or our Soft Rubber Roller for any linoleum, soft block or woodcut project. All Rollers available in 4” size. Also available in the Speedball Pop-In Brayer Kit that features the complete line of interchangeable rollers along with the 4” Brayer.